Tomorrow’s Showrunners, Today. Announcing Our 2018 Episodic Lab. Remember when not having a TV was something people actually bragged about? It was crazy. You’d just be sitting there, enjoying some crudité at a cocktail party, and these… these people would just appear next to you wanting to talk about The New York Times Book Review or whatever. Meanwhile you’d be dying inside; all you wanted to talk about The X-Files, Buffy and My So-Called Life, biding time until you can finally slip out the back door and rush home to your beloved VCR. How the times have changed. Now there’s no denying the sophistication, ambition and value of episodic programming. We don’t even call it TV anymore, as serialized long-form narrative storytelling has propagated across a variety of devices and delivery, co-mingling with different mediums and cross-pollinating genres. If a feature film is like a haiku—compact, beautiful in its rigidity of structure—then episodic series are like a big bucket of magnetic poetry. Today, Film Independent is proud to announce the six new projects and seven new Fellows who are ready to dump that bucket out and start playing. That’s right—it’s time to announce the participants of our 2018 Episodic Lab. As with last year, Film Independent’s Episodic Lab is a five-week program designed to give Fellows the tools needed to refine their pilot projects and navigate a changing industry landscape with the help of experienced showrunners, creative producers and executives. Ready to step into the writers room? This year’s Creative Advisors and guest speakers will include: Liz Flahive & Carly mensch (GLOW), Elizabeth Guber Stephen of Gables Media, Glen Mazzara (The Walking Dead), Dawn Prestwich & Nicole Yorkin (The Killing), Kate Robin (One Mississippi) and Dailyn Rodriguez (Queen of the South). In addition to being paired one-on-one with industry executive advisors, Fellows will have the opportunity to shadow in the writers rooms of Netflix series. Did you think that was all? Guess what: THAT’S NOT ALL. In addition, Film Independent will also be presenting the Alfred P. Sloan Episodic Grant to Mirella Christou for her project Seven Eternities—a $10,000 development grant supporting a pilot that depicts scientists, engineers or mathematicians in an engaging and innovative way. Christou will likewise receive a science advisor to support the development of the series, about the life and career of Timothy Leary. The Lab concludes with a pitch event introducing the Fellow’s work to literary agents, managers and studio executives—a far better career strategy than trying to slip your spec pilot to network bosses while giving them an Uber ride to the airport. Logline: When people start to go missing near the Mexican-US border, a modern Frida Kahlo and her misfit crew of Latinx Chingonas (badasses) must summon magical powers to protect their world..
Logline: A sci-fi Greek tragedy, Monitor City pits reluctant hero Olivia Andressa against a totalitarian system of control and surveillance, as she struggles to accept her role in the city’s resistance movement while fighting to bring her fractured family back..
Logline: In an effort to be more “black,” a suburban 10th grader befriends a new student with a troubled past from the city. When the two go to North Philly, they end up in a world of drug and violence-fueled trouble that ultimately cements their complicated friendship..
Logline: In the wake of a nor’easter that tears open a colonial cemetery, a storied New England community is forced to confront its historic ghosts as well as its contemporary demons when a scandal-plagued son returns home and a new family moves in next door..
Logline: Seven Eternities follows Timothy Leary as he seeks to legitimize and evangelize psychedelic drugs, conducting groundbreaking yet controversial studies at Harvard, while being funded by intelligence conduits interested in psychological warfare..
Logline: A snuff tape launches a charismatic ex-con on a rogue crusade through the back alleys and dive bars of 1990s New Jersey. When his Sheriff’s Deputy daughter gets involved, they must set personal grudges aside in order to solve the larger mystery of the videotape’s footage—her mother’s occult ritual murder. Stephanie Adams-Santos is the author of Swarm Queen’s Crown (Fathom Books, 2016), a finalist for a Lambda Literary Award. Her collection The Sundering (Poetry Society of America, 2009) received a New York Chapbook Fellowship. She is the recipient of fellowships from Oregon Literary Arts and Vermont Studio Center. Her work has been nominated for Best New Poets and the Pushcart Prize. She was a finalist for the Corporeal Voices fellowship for writers of color. 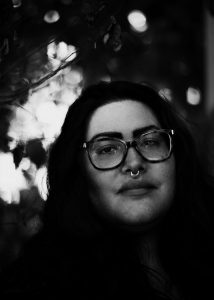 Her work has been featured at the Pickathon Music Festival, The Portland Art Museum, Creative Mornings and Poetry Press Week, and has appeared in dozens of print and online journals and magazines—including Guernica, The Boston Review, Orion Magazine and Portland Monthly. Stephanie completed her undergraduate studies at Stanford University and received her MFA in writing from Columbia School of the Arts. She’s currently working on a supernatural television drama. 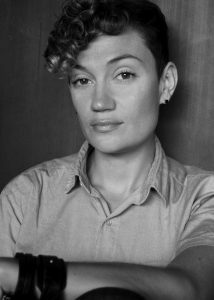 Rosie Haber is an aesthetically minded writer and director whose work spans the Documentary, Narrative and VR spaces. They are a graduate of NYU Tisch and have been a Fellow of Film Independent’s Episodic Lab, Outfest’s Screenwriting Lab, AFI’s Directing Workshop for Women and Universal’s inaugural Directing Program. Haber was listed on The Alice Initiative’s 2018 list of Female Directors ready to helm studio films and most recently was a 2018 Ryan Murphy TV HALF Program Fellow, shadowing on FX’s Pose. They won the Audience Award at LA Film Festival for her digital documentary series New Deep South, which premiered at the 2017 Tribeca Film Festival. 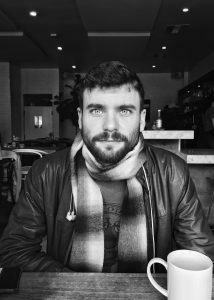 Obsessed with digital culture, Haber has recently ventured into the world of Virtual Reality and was a 2017 Sundance New Frontiers Lab Fellow for Belle of the Ball, a docu-drag VR project they are co-directing with Silas Howard. They have a new documentary series about Environmental Racism coming out on Topic (First Look Media) in August. Rammy (rhymes with “Amy”) is an award-winning playwright, screenwriter and film director. She is the recipient of grants from the National Board of Review, IFP, the Caucus Foundation and HBO. Her short film The Homecoming Queen was named Best Film by the National Board of Review, Cinequest Film Festival and the Columbus International Video + Film Festival. She is a past member of the Labyrinth Theater Company’s Intensive Ensemble. Her short play American Bodies, which skewers the popular BODIES exhibits, was voted Best Play at the Midtown International Theater Festival. She is currently at work on her first feature Consideration, a surreal psychodrama about a family facing the end of the world. 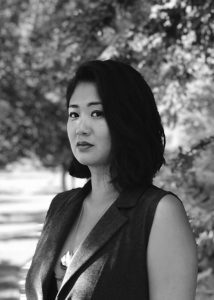 Her work has shown all over the world, including the SCOPE Art Fair, Palm Springs Shortsfest, Asian American International Film Festival and Cinequest Film Festival, among others. Park holds a BA in English and an MFA in Film from Columbia University. She lives and works in Los Angeles. Originally from Ambler, PA Henry “Hank” Jones moved to Los Angeles to pursue his passion for scriptwriting after earning a Master of Arts degree in English (Teaching of Writing & Literature) from George Mason University. With no formal script training, Jones harnessed his skills working as an assistant on shows like Dear White People, The New Edition Story and `blackish. He went on to write eight episodes of the Netflix animated show Motown Magic, executive produced by Smokey Robinson and streaming later this year. 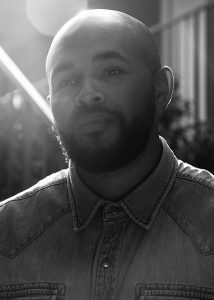 Jones is a 2018 Film Independent Project Involve Fellow. 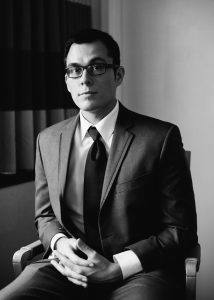 He is the writer of Masculine/Masculine, a short film set to debut this September at the LA Film Festival. Jones is currently developing a half-hour comedy series starring Jay Versace for digital studio Portal A. At 16, Charley Casler politely asked his parents if he could run away from home. He packed a bag with books, a journal and a couple changes of clothes, then traveled around the country via bus. He eventually returned home and earned a B.A. in Anthropology from Yale University before serving for two years as a Peace Corps. Volunteer in Burkina Faso, where he focused on girls’ education and empowerment and worked with his host village to establish a community library. On his return he segued into TV/film, working for Lynda Obst Productions, The Gersh Agency and Universal Television. He served as showrunner’s assistant to creator/executive producer Sarah Watson on the critically acclaimed Freeform series The Bold Type and assistant to writer/executive producer Nikki Toscano. He’s excited to be joining the forthcoming Amazon Studios series The Hunt as a writers’ assistant. Oscar-nominated producer Brunson Green (The Help, A United Kingdom, Walking Out) is attached to Casler’s pilot Redd’s Pond. Mirella Christou hails from Toronto, Canada, where she led a previous life as a journalist before entering the world of writing for the screen and stage. After attending NYU’s Tisch School of the Arts—graduating with an MFA in dramatic writing—she was awarded the Alfred P. Sloan Prize for her script Seven Eternities, a one-hour television drama. 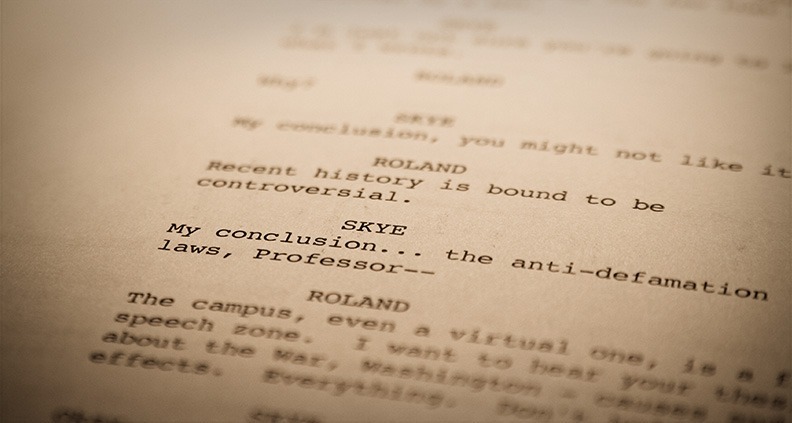 Her feature screenplay made the coveted “It List” of best unproduced scripts of 2018 in Canada. 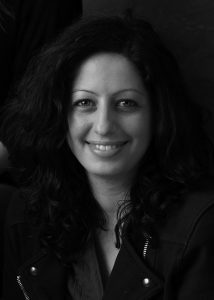 Christou has written, directed and produced films, most recently the short Lady Electric, a character-driven drama that has picked up several awards and screened internationally. She’s most passionate about stories that blur the space between fact and fiction. Christopher Abeel is a New York-born, New Jersey-raised writer-producer and a graduate of Columbia University’s MFA Film Program. Abeel won Columbia University’s Alfred P. Sloan Screenwriting Grant in 2016 and an Alfred P. Sloan Short Film Production Grant in 2017. He was also awarded the FilmHaus Award. Abeel’s screenplays and pilots have placed in the semifinals of the Austin Film Festival’s Screenwriting Competition and have been finalists for the Sundance Institute’s Episodic Storytelling Lab. Themes in his work include identity, otherness and the complications of the American dream. He currently resides in Los Angeles with his wife and their two dogs. So a hearty congrats to all of this year’s Fellows. The next time you see us at a cocktail party, don’t be put off by our ravenous crudité-destroying demeanor. All we want to do it gab with you about our favorite episodes of just about anything. The Film Independent Episodic Lab is supported by Lead Artist Development Funder the Time Warner Foundation and Founding Sponsor Netflix. Additional support is provided by the Alfred P. Sloan Foundation. To learn more about the Episodic Lab and additional Film Independent Artist Development programs and grants, click here. Film Independent Artist Development promotes unique independent voices by helping filmmakers create and advance new work. To learn how to become a Member of Film Independent, just click here.